511 GALLERY is pleased to announce the opening of Benjamin Faga's solo exhibition of new photographs, On the Way to Chroma Green, on Thursday, November 10th at 511 Gallery. Artist's reception is from 6 to 8 PM. 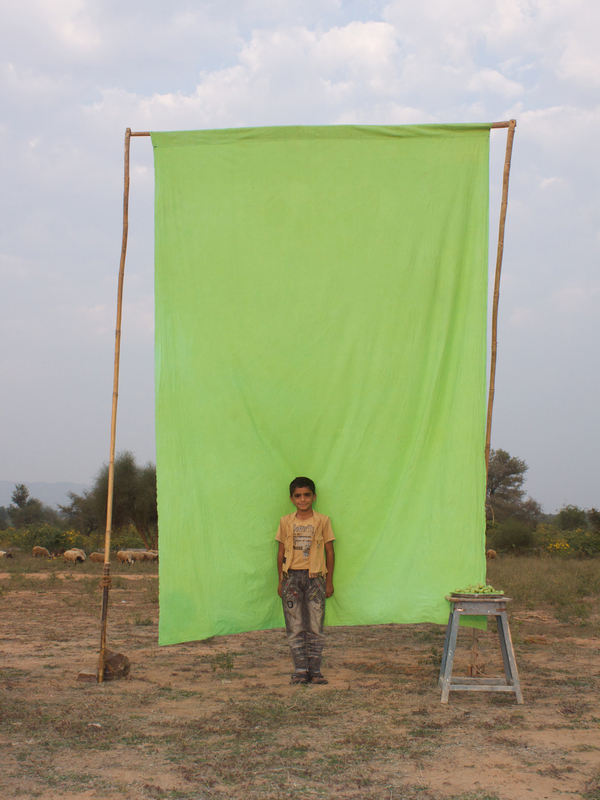 In this new body of work, Faga explores the increasing influence of globalization on seemingly disconnected rural Indian villages. As part of an artist residency program funded by the Kaman Art Foundation, Faga traveled to the small village of Andore in the northwestern part of India, where he found that the most immediate form of understanding the co-mingling of technology and environment was through performance. By creating a large chroma green fabric with the collective help of the community, Faga thus explores the idea of art as historically effective-a means of analyzing societal structures through the practice of their own traditions. A village historically sustained through farming and cloth dying, Andore has been dramatically impacted by capitalism and industrialization. Men no longer work locally, but rather travel to cities to work for three weeks at a time. With income coming from urban regions, the reliance on the tradition of cloth dying has become obsolete. 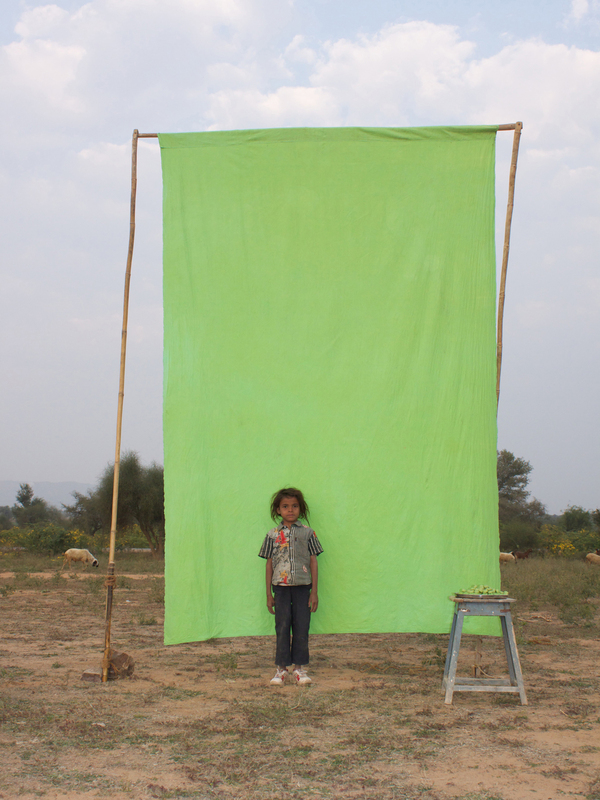 Inspired by the interrelation between the act of performance and cultural tradition, Faga held a workshop with the villagers of Andore where he presented to them the idea of collectively dying a chroma green screen. 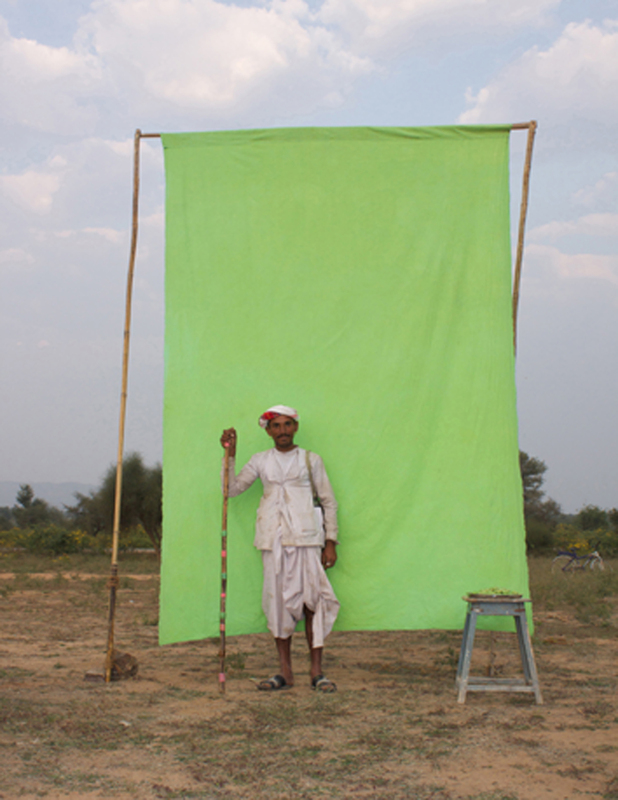 The resulting work is 33 portrait images of villagers standing against the finalized screen, set up against an expansive background and shot just as they stood without any posing or direction from the artist. Of these portraits, 10 will be in exhibition at 511 Gallery. 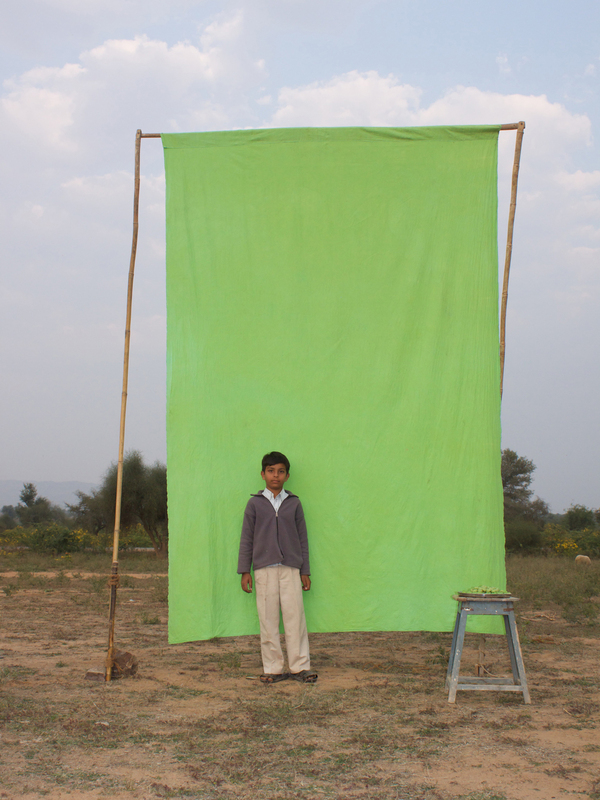 A symbol of the contemporary technological culture of the West, the chroma green screen's placement within the village landscape reflects the ever-reaching influence of globalization. However, its contradictory provenance authored by the very villagers of Andore in a revival of their practice suggests an ownership and control of their societal condition in a way that neither negates western influences nor dismisses their past traditions. In this sense, the act of creation reveals the very essence of Faga's project, as the villagers' performance of dying reveals their active role in redefining the concepts of modernity and tradition as two interconnected entities no longer mutually exclusive. Benjamin Faga lives and works in London. He was born and raised in Wisconsin and was art-schooled at the University of Minnesota and later received his MA in Design Interactions at the Royal College of Art in London. He has participated in a number of group exhibitions, most recently 'Pork' at the Bermondsey Project Space in London and 'Talk to Me' at the Museum of Modern Art in New York City. This will be his first solo show in America.